We often hear from investigators at all career stages that they spend a significant portion of their careers writing grant applications, consuming precious time that could otherwise be spent conducting research. This grant-writing treadmill is fueled by several factors: fierce competition for limited research dollars, made worse by the current funding situation, which has caused success rates to fall to historic lows; the need to support multiple research projects in a productive laboratory; and desires to pursue new research directions when opportunities arise. 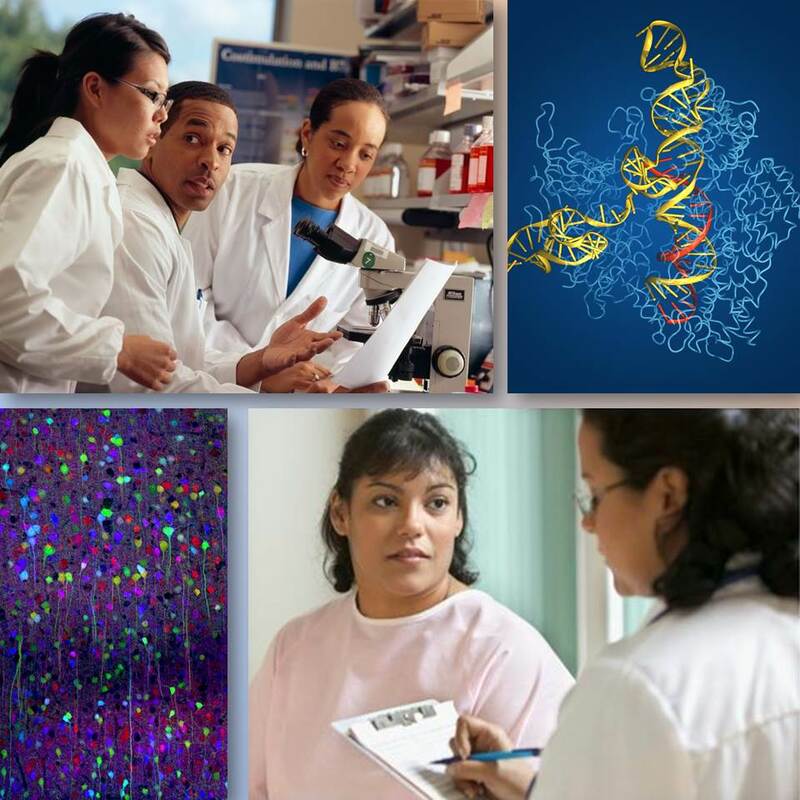 To meet the changing needs of the biomedical workforce, NIH is piloting the concept of awarding longer grants that provide more stable support for investigators at all career stages. It is our hope that with more sustained support, investigators will have more freedom to innovate and explore new lines of inquiry. The NIH Pioneer Award, supported by the Common Fund, represents a compelling example of such an approach. Pioneer Awards support individual scientists of exceptional creativity, who propose pioneering—and possibly transformative approaches—to major research challenges. This award allows for $500,000 annually in direct costs for five years, and, in a recent evaluation, was shown to facilitate a high level of innovation and productivity. Moving forward, several NIH Institutes and Centers (IC) will be developing new funding opportunities to offer more sustained support to investigators’ research programs. These longer term awards will not follow a one-size-fits-all approach; leaders of each NIH IC will decide if they wish to embark on these awards based on the balance of their portfolios and their strategic planning needs. In addition, each IC will decide the appropriate size and duration of their awards. While applications for these awards will not require specific aims in the traditional R01 format, investigators will describe their research plans and will demonstrate how they will leverage and translate their prior accomplishments into approaches that will shape their future research. First out of the chute is the National Cancer Institute’s Outstanding Investigator Award, which will provide long-term support to investigators who have extraordinary records of cancer research productivity and who propose to conduct exceptional research. Applicants may request up to $600,000 annually in direct costs, for up to seven years. The National Institute of General Medical Sciences (NIGMS) recently issued a request for information to obtain community feedback on their concept of the “Maximizing Investigators’ Research Award.” This award would support all NIGMS-funded research in an investigator’s laboratory. Funding would range from $150,000-$750,000 in direct costs annually for five years (the current average for an NIGMS R01 is about four years). Other NIH ICs will likely follow soon with their own funding opportunities. NIH is not alone in employing models of sustained support. For many years, the Howard Hughes Medical Institute (HHMI) has promoted the philosophy of supporting “people, not projects.” The HHMI Investigator Program provides five years of renewable support to individuals who have the potential to make significant contributions to science. The Canadian Institutes of Health Research (CIHR) is in the midst of piloting their Foundation Scheme, which supports a broad base of researchers across career stages, areas, and disciplines. CIHR Foundation Scheme grants vary depending on the research field and scope of research activities. Established investigators are awarded seven-year grants, while new/early career investigators receive five-year grants. Other organizations using similar approaches include the Medical Research Council Programme Grant, the Wellcome Trust Investigator Award, and the MacArthur Fellows Program. Because NIH’s overall budget is not affected by the introduction of this new type of award, the research community might ask if these awards will come at the expense of other programs. We are very mindful of this concern, and each NIH IC will carefully consider its budget as it decides whether to use this funding approach. We expect that some ICs may issue a small number of awards at first, as they dip their toes in the water. It is important to note that these awards will support talented people from a range of career stages, backgrounds, and disciplines. Furthermore, these new awards will complement other NIH funding opportunities that give applicants more flexibility with their research approaches. For example, the National Institute of Mental Health (NIMH) Biobehavioral Research Awards for Innovative New Scientists (R01) support the research and career development of outstanding scientists who are in the early, formative stages of their careers and who plan to make a long-term commitment to research in NIMH’s specific mission areas. The National Institute of Environmental Health Sciences Outstanding New Environmental Scientist Award (R01) helps talented early-stage investigators launch innovative research programs focused on the understanding of environmental exposure effects on people’s health. When discussing research funding paradigms, it’s often said that one either supports people or projects. But we think these are not mutually exclusive concepts. NIH has always supported researchers and their ideas for advancing scientific discovery and improving public health. Ultimately, we need to know what’s the right balance of different types of awards in the NIH portfolio. To answer that question, NIH plans to evaluate these new sustained award programs and closely monitor their effects on the scientific community. Biomedical research is a complex enterprise that is constantly evolving. So, for the good of biomedical research and all of the people whom we are trying to help, NIH must be always on the lookout for new ways of fostering the vibrancy of this enterprise. We think it’s time to move forward with this new formula for innovation, keeping in mind these words from Winston Churchill: To improve is to change. Note: Sally Rockey, Ph.D., is NIH’s Deputy Director for Extramural Research. I think this is a very smart way to go — to be more intentional about giving much needed support to promising researchers. Yes, I totally agree with Sean. This will only be helpful to senior and established researchers.